Tim Rock is from Seattle. It seems like he used to be an engineer back in the 70s at a place called the Music Farm. This is his only record, and by the looks of the cover and him, people might think it’s going to be out there psych or something. Truthfully, its more mellow beard country rock that’s better than most of the stuff you can find cheap in this genre. Overall a two tracker in my opinion. My friend David would probably like this, think he calls this beige music but I don’t remember why. This was purchased because of the cover. There are so many fantastic details. Her whole look is amazing – especially the top and necklace combo. His knuckle tattoos and giving the middle finger to the cover. The location of cover shoot and the fact that there is branch in front of his face. 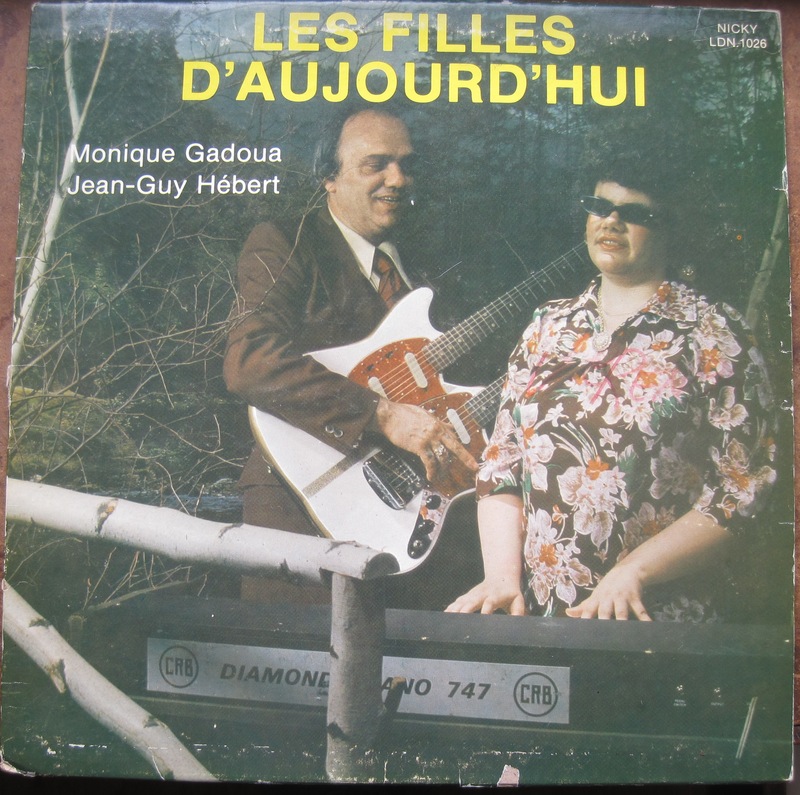 Featured is the title track by this fine Quebec duo of Monique Gaduoa and Jean-Guy Hebert. For some reason, my guess is that these two don’t necessarily approve of the girls of today, but that was the seventies, I’m sure they’d have a much better attitude nowadays. Clearly a closer listen is called for. Will update. 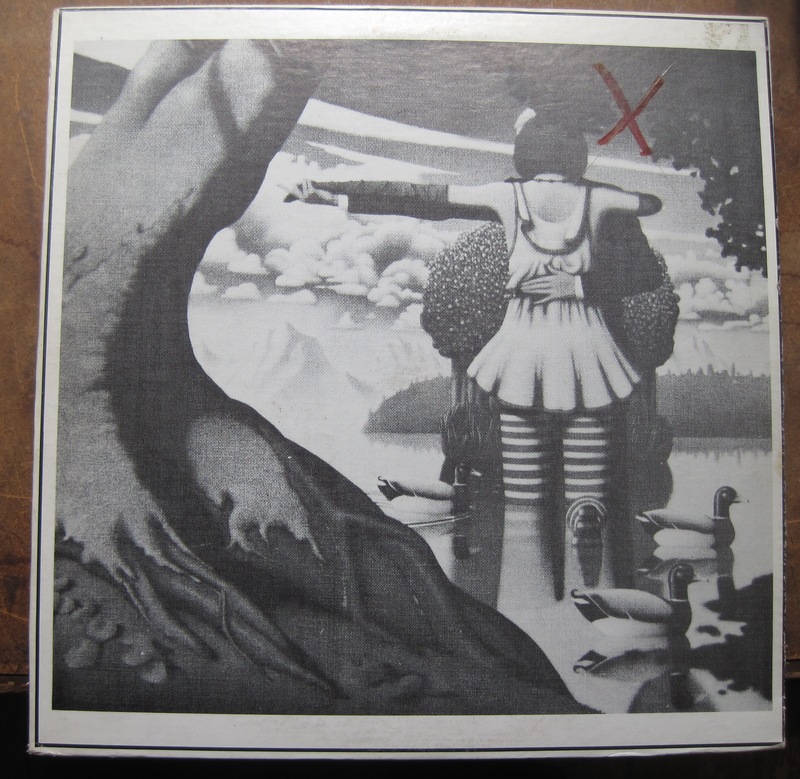 This record is on the Les Disques Nicky label out of Valleyfield, Quebec. Google is rather uninformative when it comes to information about both performers, the label and the studio. There is one song by Monique on youtube posted by countrypete27 that is part of a compilation of Quebecois country and western. 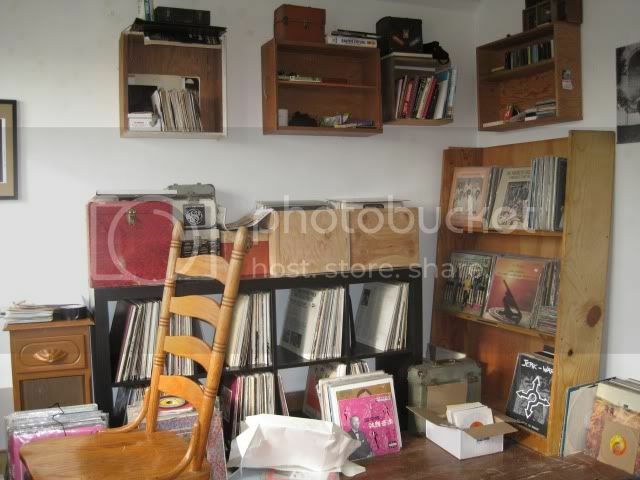 You are currently browsing the Backroom blog archives for May, 2011.